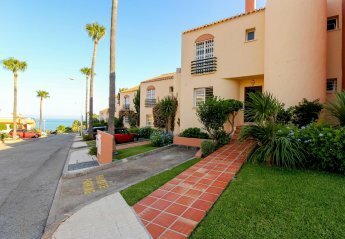 This 2 bedroom apartment with swimming pool is located in Club La Costa and sleeps 4 people. It has WiFi, parking nearby and air conditioning. This 6 bedroom villa with swimming pool is located in Sitio de Calahonda and sleeps 14 people. It has WiFi, a garden and barbeque facilities. 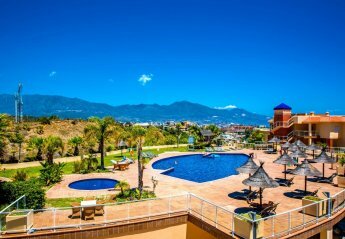 This 2 bedroom apartment with swimming pool is located in Club La Costa and sleeps 4 people. It has WiFi, a garden and parking nearby. This 3 bedroom house with swimming pool is located in Marina Del Sol and sleeps 6 people. It has WiFi, a garden and parking nearby. 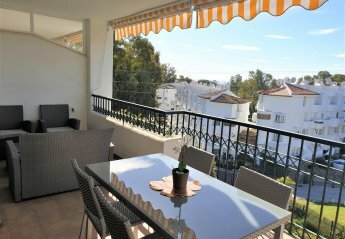 This 2 bedroom apartment with swimming pool is located in Benalmádena Costa and sleeps 6 people. It has WiFi, parking nearby and air conditioning. 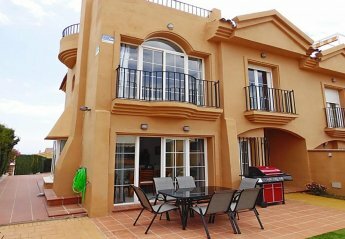 This 4 bedroom villa with swimming pool is located in Benalmádena and sleeps 8 people. It has WiFi, a garden and barbeque facilities. 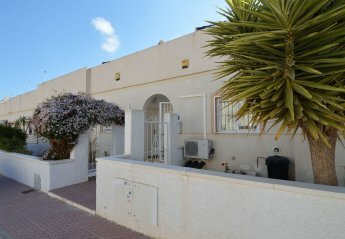 This 3 bedroom house with swimming pool is located in Riviera Del Sol - Fase VIII and sleeps 6 people. It has WiFi, a garden and barbeque facilities. 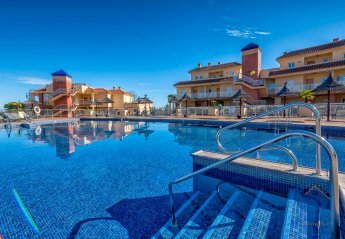 This 2 bedroom apartment with swimming pool is located in Riviera Del Sol - Fase IV and sleeps 6 people. It has WiFi, parking nearby and air conditioning. This 3 bedroom house with swimming pool is located in Miraflores golf and sleeps 8 people. It has WiFi, a garden and parking nearby. 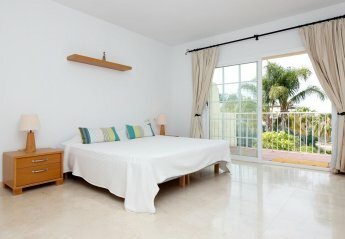 This 3 bedroom apartment with swimming pool is located in Nueva Andalucía and sleeps 6 people. It has WiFi, air conditioning and parking nearby. The apartment is within walking distance of a beach. This house with swimming pool is located in Hacienda Paredes and sleeps 5 people. It has WiFi, air conditioning and a garden. The house is walking distance away from fishing spots. 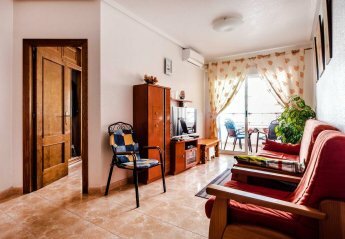 Cosy and bright studio apartment in Torrevieja. 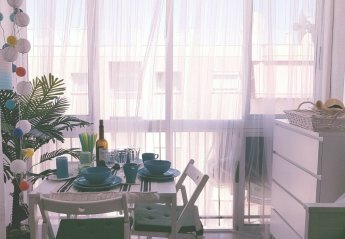 The apartment consists of one room on the 7th floor in the city centre at only 200m from the beach with a view of seaside and the city. This 4 bedroom villa with private pool is located in L'Hostalet and sleeps 8 people. It has WiFi, barbeque facilities and parking nearby. The villa is near a beach. 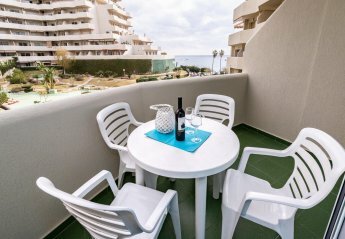 This 1 bedroom apartment with shared pool is located in Torrevieja and sleeps 4 people. It has WiFi and air conditioning. 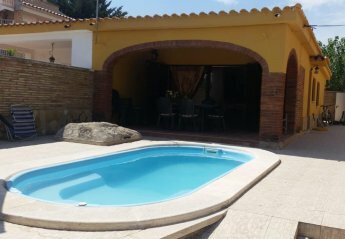 This 3 bedroom house with private pool is located in La Llosa and sleeps 6 people. It has a garden, parking nearby and air conditioning. 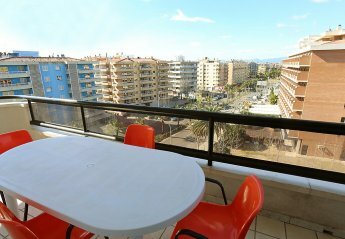 This 1 bedroom apartment is located in Cambrils Badia and sleeps 4 people. It has air conditioning. 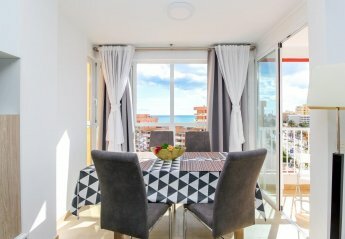 This 2 bedroom apartment is located in Cambrils and sleeps 6 people. It has parking nearby. 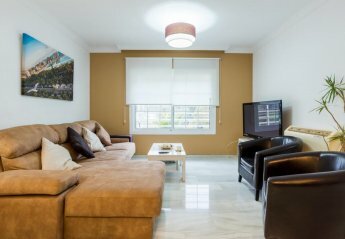 This 2 bedroom apartment with shared pool is located in Cambrils and sleeps 6 people. It has air conditioning. 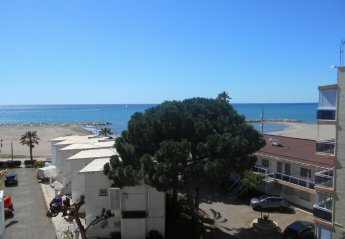 This 2 bedroom apartment with shared pool is located in Sitio de Calahonda and sleeps 6 people. It has WiFi, parking nearby and air conditioning. 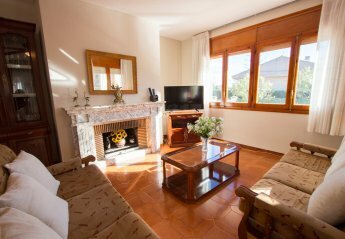 This villa is located in Mas d'en Bosc and sleeps 9 people. It has WiFi and barbeque facilities. 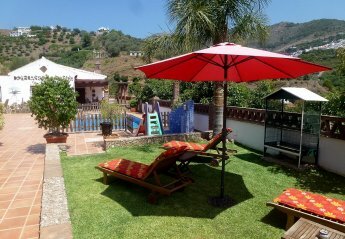 This 3-bedroom villa for up to 6 guests is located in Frigiliana and has a private swimming pool and. This 3 bedroom villa with private pool is located in Almuñécar and sleeps 6 people. It has barbeque facilities. The villa is near a beach. 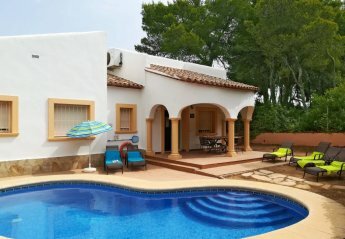 This 2 bedroom villa with swimming pool is located in Pradillo and sleeps 4 people. It has WiFi and barbeque facilities. The villa is near a beach. This 3 bedroom villa with private pool is located in Roche Viejo and sleeps 6 people. It has WiFi. The villa is near a beach. This 3-bedroom villa for up to 5 guests is located in Calonge and has a private swimming pool and. This 3 bedroom villa with private pool is located in Tosalet and sleeps 6 people. It has WiFi, air conditioning and barbeque facilities. The villa is near a beach. 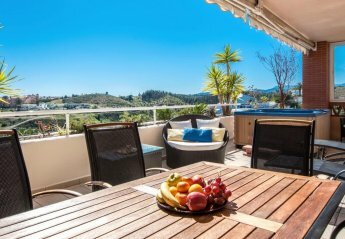 This 4-bedroom villa for up to 8 guests is located in Lloret De Mar and has a private swimming pool and. 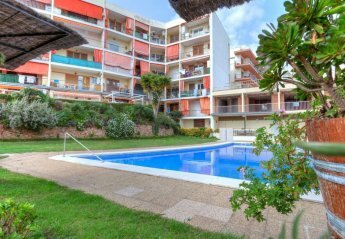 This 2 bedroom apartment with swimming pool is located in Lloret de Mar and sleeps 4 people. It has WiFi. The apartment is within walking distance of a beach. 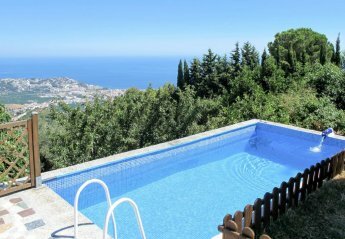 This 5 bedroom villa with swimming pool is located in Sitio de Calahonda and sleeps 10 people. It has WiFi, a garden and barbeque facilities. 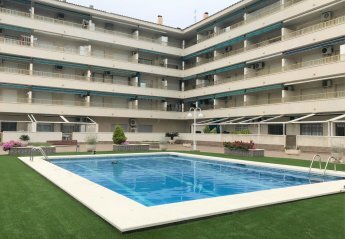 This 2 bedroom apartment with swimming pool is located in Salou and sleeps 4 people. It has air conditioning. The apartment is within walking distance of a beach. This 3 bedroom villa with private pool is located in Benissa and sleeps 6 people. It has WiFi, a garden and barbeque facilities. The villa is near a beach. 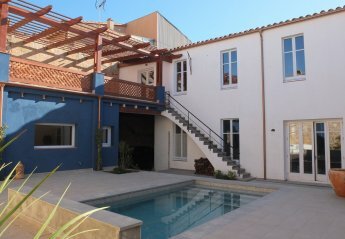 This 3 bedroom villa with private pool is located in Pego and sleeps 5 people. It has WiFi, air conditioning and a garden. The villa is near a beach. 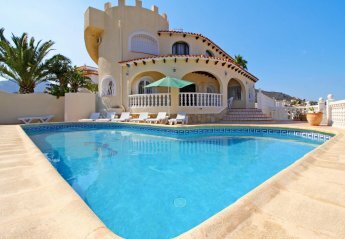 This 7-bedroom villa for up to 15 guests is located in Calpe and has a private swimming pool. 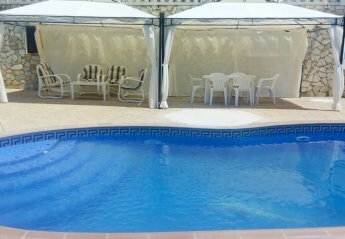 Well maintained Holiday Rental Villa in Monte Pego, Denia with it's own private pool. Excellent views of the area and only a short drive from many local facilities. Charming village house in Sedella with fabulous views of the village and surr. Sedella is a white washed typical rural Andalucian village that still maintains elements of bygone times. Excellent for hikers in the Sierra Tejeda Nature Park of which Sedella is the centre. 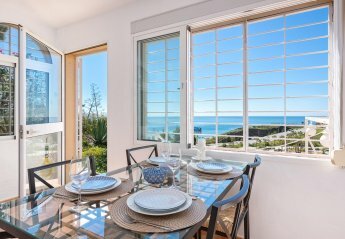 The apartments are located very central in Nerja, with only 10 minutes to the famous Burriana Beach or town center. On the Roof Terrace you will find the Pool, and there you can enjoy the fantastic views of the mountains and the sea.